Applying make up to cover uneven skin tone or redness is part of the anti aging make up routine most of us have been doing for some time and we are pretty good at it. If your technique is not working so well lately, then now is the time to look at some concealer tricks used by professional make up artists. Open Up Your Eyes with these concealer techniques. socket above the nose is a good idea for all mature women. The effect is younger and wide awake! 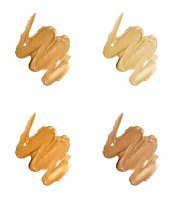 Under eye concealers are available in various tones. If the darkness is not very noticable the yellow toned concealer will be sufficient alone. Apply with a small make up brush being careful to take the concealer right up to the eyelash line. If your under eye darkness is extreme, experiment with peach and pink toned concealer together. For the best results the right make up tools, brushes etc are a must. Depending on how severe the problem is, you may find it necessary to finish with a yellow based concealer. Use very lightly and experiment until it works perfectly. In her book Living Beauty Bobbi Brown explains how to use make up for rosacea and as an under eye concealer. It is beautifully illustrated with before and after pictures showing the magic of applying make up to overcome the problems that arise as our skin ages. 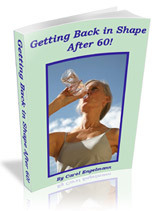 This book is a perfect inexpensive gift for the older woman! Many of us with under eye darkness also have dark eyelids. You can offset this by using a bone colored soft powder eye shadow lightly over the whole lid. Apply light colored shadow and mascara only to the upper lid, taking attention away from the under eye area. You’ll find more inspiration on Eye Make Up Ideas for older women.. enjoy! 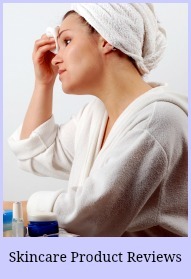 Rosacea… How to calm and cover the unflattering redness. and I’m much more careful. Read about the facial redness treatments that I use myself and highly recommend for cooling and calming. that yellow toned foundations are the best for concealing redness. best to counteract redness….and you won’t need blusher. item for mature women. You can achieve a gloriously smooth base, reduce shininess, minimize tiny lines and wrinkles and more. Here’s some help… What is a make up primer and how does it work? glitter and opt for soft flattering tones of beige, sable, khaki, and taupe and take a look at the best make up for a perfect pout and thin lips to fuller lips to help you complete the look. Natural Mineral Make Up, Myth or Magic?